The Macanudo Cru Royale Robusto cigars are medium-bodied and full-flavored cigars, handcrafted under the personal direction of the legendary Benji Menendez. 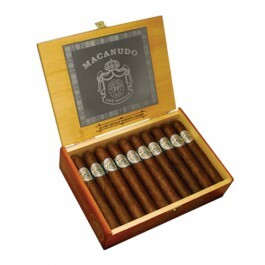 The Macanudo Cru Royale cigar with its core of Nicaraguan and Dominican Viso longfiller, Brazilian Mata Fina, and proprietary Dominican La Vega Especiale binder is rolled with Ecuadorian Habano seed wrappers. 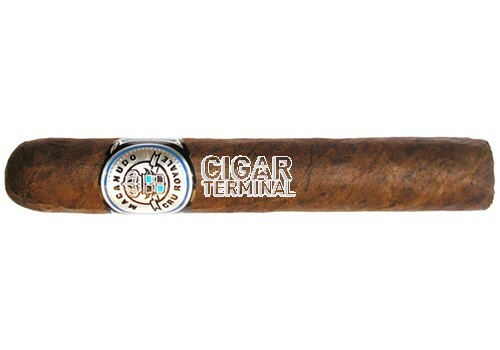 The result is a perfectly balanced, highly aromatic cigar, boasting rich and complex flavors with a nice long and clean finish.